Marvel's Thor: Ragnarok has hammered its box office competitors and taken $121m (?92m) in its US opening weekend. In its first 10 days, the action blockbuster made $427m (€326m) worldwide. The film's success brings welcome news for cinema managers, who have struggled with slumping sales figures throughout October. The third instalment in the comic-book franchise also bucked the sequel trend, outperforming both the first and second in the film of the trilogy.Thor's 2011 debut took $65.7m (€50m), while Thor: The Dark World opened in 2013 to sales of $85.7m (€65m).In this third film, with Chris Hemsworth again taking the titular role, the Scandinavian superhero is tasked with defeating his former ally the Hulk, played by Mark Ruffalo. 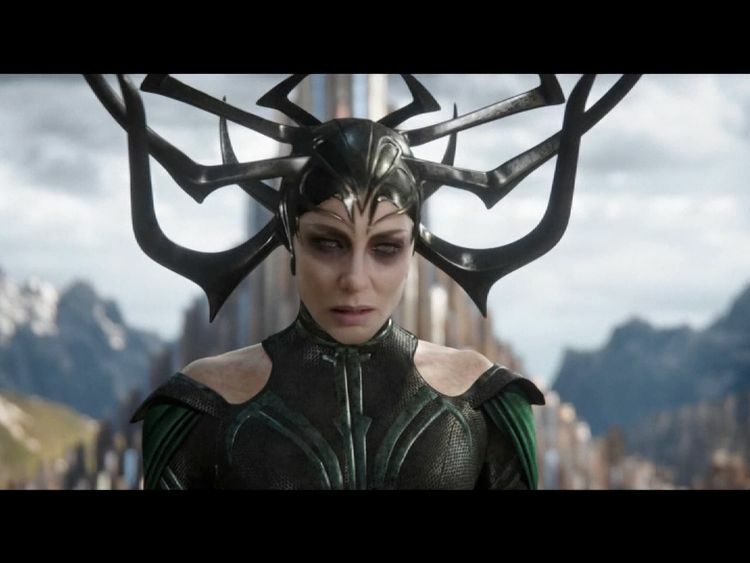 English actor Tom Hiddleston also reprises his role as Thor's step-brother Loki, while Cate Blanchett is the villain of the piece as Hela, Goddess of Death. Offbeat New Zealand director Taika Waititi - who wrote and directed two episodes of TV comedy Flight of the Conchords - was at the helm of the $180m (€137m) production.Thor: Ragnarok is the latest film franchise to take a risk with a director more familiar with comedy, following in the footsteps of Guardians Of The Galaxy and Ant-Man, which both enjoyed commercial and critical success.A Walt Disney production, Disney's distribution chief David Hollis has praised the "quality of the talent" at Marvel Studios for the success of the film.Disney recently demanded a 5% increase in its split of ticket sales for its upcoming Star Wars film The Last Jedi, according to The Wall Street Journal.Disney is also planning to launch a streaming service in 2019, which will incorporate some film releases.Thor: Ragnarok is out in both US and UK cinemas now.